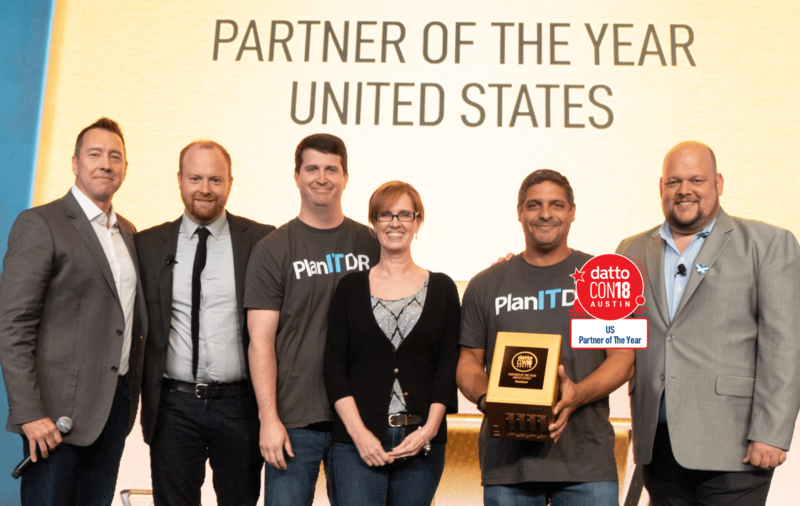 July 6, 2018 – ThinkGard today announced the company took home the Datto Partner of The Year award at the sixth annual DattoCon, Datto’s annual partner conference. DattoCon has become one of the largest events in North America for Managed Service Providers (MSPs) and the Golden Datto awards are presented each year to the best of the best among Datto’s partner community. This year, the awards were given across nine categories recognizing a range of talented, world-class MSPs. According to Datto, The Partner of The Year has made a commitment to not only offering Datto as their business continuity solution but supporting Datto in the promotion of our products and our support of the channel community. They are true advocates for Datto, and are always willing to participate in webinars, peer to peer conversations, presentations, and panels. They also spend the time giving continual feedback on how we can continue to improve everything from product to partner programs and have contributed significantly to Datto’s ongoing success. “Our partners are critical to the small and medium-sized business community, including some of the world’s fastest growing companies” said Rob Rae, Vice President of Business Development at Datto. It’s an honor to recognize ThinkGard for taking home the Partner of The Year category’s 2018 award and demonstrating their commitment to growing their business while helping their customers succeed. We look forward to more success in 2019”. Kevin Fuller, ThinkGard's President & Chief Technology Officer says, "The Golden Datto Award is highly coveted by top Datto Partners so we're very happy to receive this recognition. Not only does it look awesome but it compliments the Golden Datto Innovator of the year award we received in 2015. There's nothing like golden bookends". Paul Franks, CEO of ThinkGard commented, "To me, receiving this award says that not only are we are achieving our goals as a Datto Partner but that we're blazing a new trail by having such a unique backup and disaster recovery offering that we'll continue to create a demand that will cause other MSPs to rethink the way they offer their disaster recovery services to their clients. ThinkGard is a one of a kind Technology Managed Service Provider in Pelham, Alabama whose business was built solely on providing a fully managed, turnkey backup & disaster recovery and business continuity solution to help SMB's nationwide protect their data.